On May 9, 2017, President Donald Trump abruptly fired FBI Director James Comey. And Twitter’s reaction to such a blatant threat? From the start of his Presidency, Trump has put his ambitions, excuses and rants on social media. And this has unnerved foreign leaders as well as Trump’s fellow Americans. “Putting aside the specific content of the recent blasts from the Oval smart phone, the President’s ongoing Twitter storms make all leaders uneasy. The heads of government in most nations prefer a certain amount of predictability and decorum from other heads of state. On December 12, 2017, Trump used Twitter to attack New York United States Senator Kirsten Gillibrand. Gillibrand was among six Democratic senators who called for Trump’s resignation after sexual harassment allegations forced three Republican and Democratic members of Congress to resign. So how does this behavior apply to “The Twitter Rules”? On July 2, 2017, Trump tweeted a video showing him punching a man with the CNN logo superimposed on his head during a WWE wrestling match. And on August 15, the President retweeted a cartoon photo of a “Trump Train” running over a CNN reporter. “We hold all accounts to the same Rules, and consider a number of factors when assessing whether Tweets violate our Rules. Twitter has never acknowledged publicly that Trump has violated any of its guidelines. It rarely even acknowledges Trump’s tweets. In April, 2017, Twitter announced that it had added 9,000,000 new users, its largest quarter-over-quarter jump in two years. “We believe Twitter is the best at showing you what’s happening in the world and what’s being talked about,” said Anthony Noto, Twitter’s chief financial officer. In short: Trump is good at attracting more Twitter users. and if the company needs to overlook his blatant and repeated violations of its “Twitter Rules,” so be it. Twitter has been so plagued by trolling that potential investors like the Walt Disney Company refused to taint their own reputations by partnering with it. But that hasn’t led high-ranking Twitter executives to end their Faustian pact with the biggest Twitter troll of all. And, as all devotees of the Faust legend know, there comes a time when the Devil wins the bargain. We believe in freedom of expression and open dialogue, but that means little as an underlying philosophy if voices are silenced because people are afraid to speak up. In order to ensure that people feel safe expressing diverse opinions and beliefs, we prohibit behavior that crosses the line into abuse, including behavior that harasses, intimidates, or uses fear to silence another user’s voice. Hateful imagery and display names: You may not use hateful images or symbols in your profile image or profile header. You also may not use your username, display name, or profile bio to engage in abusive behavior, such as targeted harassment or expressing hate towards a person, group, or protected category. We will begin enforcing this rule on December 18, 2017. So much for the official version of what Twitter users—and non-Twitter users—can expect from those charged with policing Twitter. Which leads to the question: Why hasn’t Twitter policed—and purged—the single greatest abuser of its “Twitter Rules”: Donald Trump? His Twitter assaults have often dominated entire news cycles for days on end. As President-elect, he continued these assaults—such as the one on November 18, 2016. Dixon—who is black—was rightly alarmed. Trump had received the open and enthusiastic support of the Ku Klux Klan, American Nazi Party and other white supremacist groups. Since his election, white thugs had assaulted blacks and other non-whites across the country. Thus, without offering a shred of evidence to back it up, Trump accused his predecessor—on Twitter—of committing an impeachable offense. On May 9, 2017, Trump abruptly fired FBI Director James Comey. Another unpunished violation of Twitter’s Terms-of-Service was about to occur. With one tweet, Roseanne Barr blew her newly-revised TV sitcom to bits—and made herself an outcast from the American Broadcasting Company. Her mistake: Thinking that she could get away with the same racist, hate-filled insults that her idol, President Donald Trump, has long gotten away with on Twitter. During his first two weeks as President, Trump attacked 22 people, places and institutions on his @realDonaldTrump account. 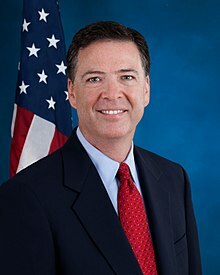 On May 9, 2017, Trump abruptly fired FBI Director James Comey—for pursuing an investigation into Russian subversion of the 2016 election. And Twitter’s reaction to such a blatant threat? Silence. Trump had no such tapes. Twitter has been so plagued by trolling that potential investors like the Walt Disney Company have refused to taint their own reputations by partnering with it. But Twiter executives refuse to end their Faustian pact with the biggest Twitter troll of all. In less than 12 hours, Roseanne Barr demolished her hit show, Roseanne, and threw the lives of dozens of men and women into unemployed chaos. May 28, 2018 – 1:45 a.m.
May 29 – 6:29 a.m.
May 29 – 9:28 a.m.
May 29 – 7:33 a.m.
May 29 – 9:15 a.m. This was, of course, not the first time that Roseanne Barr had starred in her own series. From 1988 to 1997, she had portrayed Roseanne Conner, wife and mother of an Illinois working-class American family. John Goodman had played her husband. Their three children (Becky, Darlene, and DJ) were played by, respectively, Lecy Goranson (and, later, Sarah Chalke); Sarah Gilbert; and Michael Fishman. The series reached No. 1 in the Nielsen ratings, and became the most watched television show in the United States from 1989 to 1990. The show remained in the top four for six of its nine seasons, and in the top 20 for eight seasons. In 2002, Roseanne was ranked No. 35 on TV Guide’s 50 Greatest TV Shows of All Time. So when Roseanne pitched an updated version of her show to ABC in 2017, the network was naturally excited. On May 16, 2017, ABC announced that it would revive Roseanne as a mid-season replacement in 2018, with the original cast returning. Eight episodes were ordered. In November, ABC ordered a ninth episode. The rebooted version premiered on March 27, 2018, to an initial audience of 27.26 million viewers. On March 30, thrilled by the success of its premiere, ABC renewed Roseanne for another 13 episodes. Actors portraying the Conner family. Then came Roseanne Barr’s tweet. And, suddenly, all of these people found themselves unemployed—and uncertain about their futures in the fickle and often unforgiving entertainment industry. Of course, the person most immediately—and rightly—blamed was Roseanne Barr herself. But she was by no means the only one worthy of condemnation. A major portion of blame is owed the men who run Twitter. Abuse: You may not engage in the targeted harassment of someone, or incite other people to do so. We consider abusive behavior an attempt to harass, intimidate, or silence someone else’s voice…. All of which leads to the question: Why hasn’t Twitter policed—and purged—the single greatest abuser of its “Twitter Rules”: Donald Trump?